Sara Benjamin’s April Fools Day Sale! 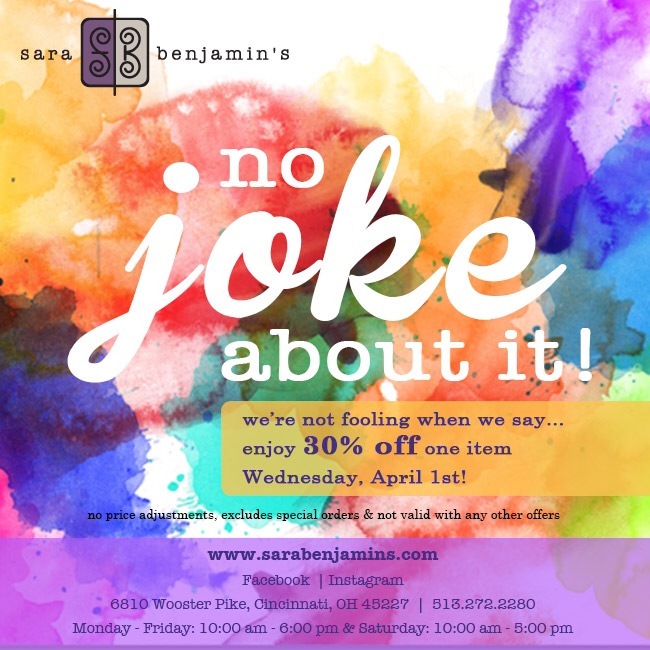 No joke, there’s going to be a big sale on April 1 at Sara Benjamin’s in Mariemont! They’re under new ownership now, and from what I’ve heard, they brought in some super cute new designers! And a good sale gives me the perfect excuse to check it out for a little April Fools Day retail therapy! 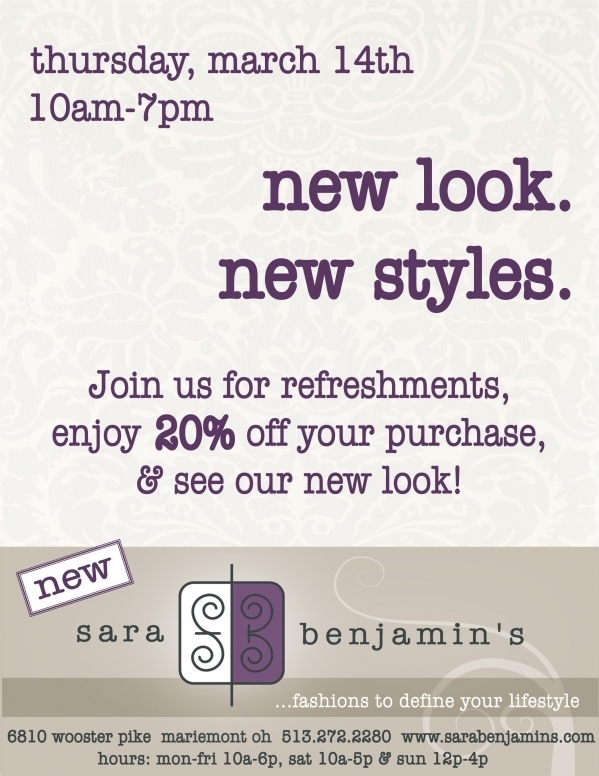 Get ready to fall in love with Sara Benjamin’s new sale! 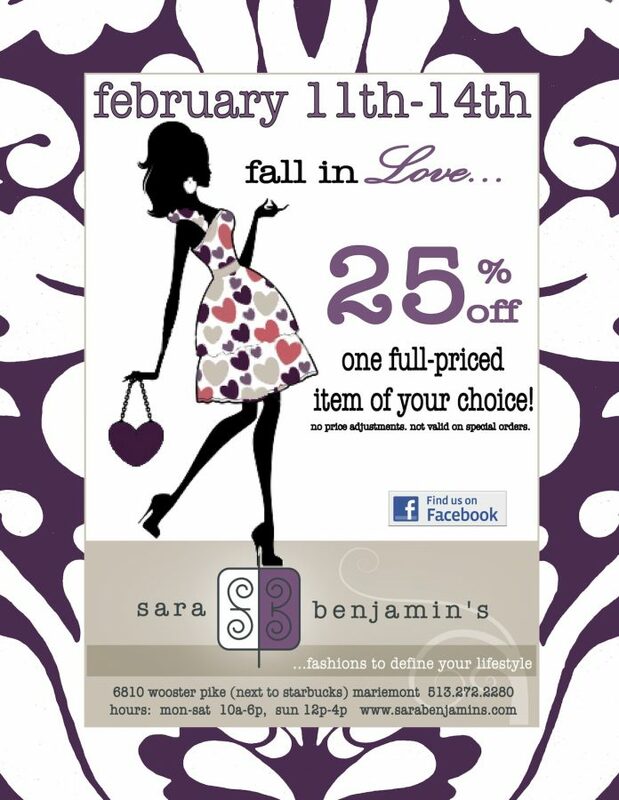 The sale will run until February 14th and will include 25% off one full-priced item of your choice! 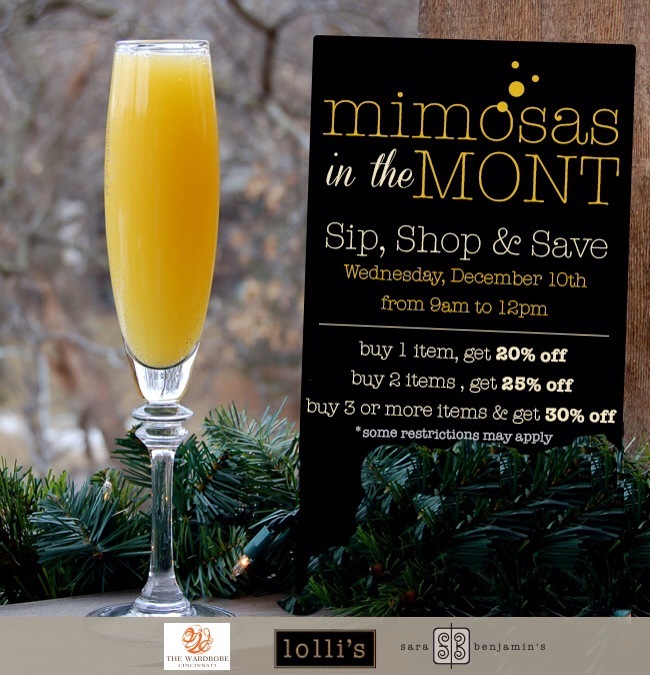 Also, guests will receive an additional 25% off all sale items! The store is under new ownership and this sale is a great excuse to get in the store and meet the new owner to see what she’d doing with the place! Sara Benjamin’s is located at 6810 Wooster Pike, next to Starbucks, in Mariemont. Call 513-272-2280 or visit their website or Facebook page! A few hours ago, Lori Tazner, the founder of Sara Benjamin’s – a women’s fashion boutique in Mariemont – announced that ownership of the store is changing hands. Tazner posted the below heart-felt message to Facebook to update her friends, family and clients of the change. I’m sad that I’ll no longer get to work with Lori in the future (we actually just worked together on the 2012 Bras with Flair on the Square fashion show), but I wish her all the best and hope to meet the new owner soon! I am excited to announce that effective today, Friday, January 18th, Amie Fanta is the new owner of Sara Benjamin’s. 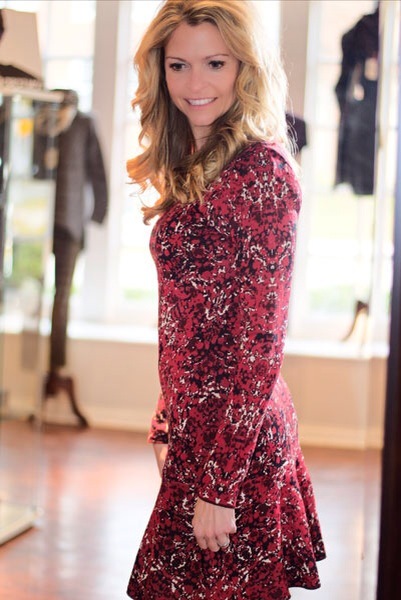 Amie is one of our own, and in her capable hands the store will continue to be a special, customer-focused, quality boutique for our many loyal customers and business associates. I know that the relationships and partnerships we have built will continue to thrive and grow! It has been an amazing journey, and I am so thankful for the opportunity to meet people who I would have never met — my SB girls, customers who have been so supportive, sales reps that have been so kind, and many that have become dear friends. We truly are a family, without which, the store could not have become the community landmark that it is today. I know that Sara Benjamin’s will continue to provide outstanding quality, selection and service with the utmost integrity, sincerity and enthusiasm. Thank you ALL for being a part of this remarkable experience!! Listen up, ladies! 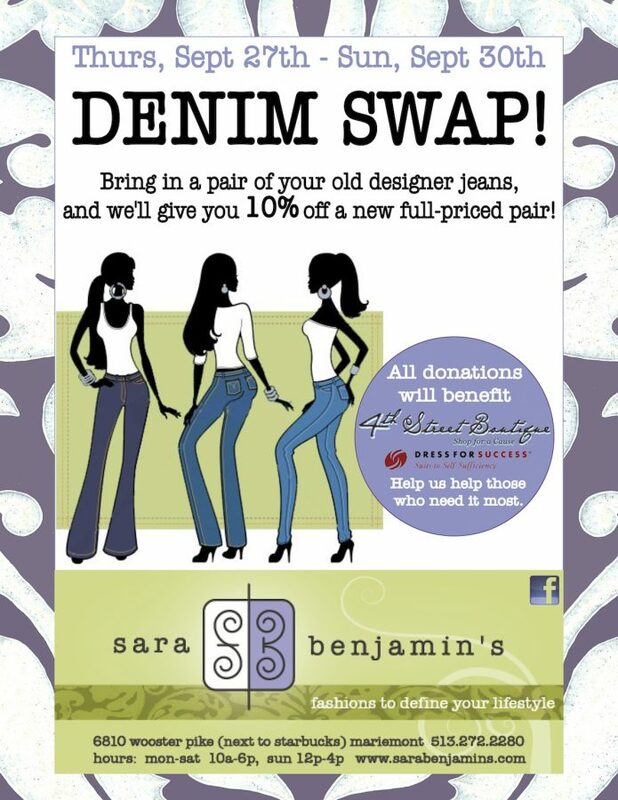 Sara Benjamin’s will be having a Denim Swap from Sept 27-30! If you bring a pair of your old designer jeans you aren’t swearing anymore, you’ll get 10% off a new full-priced pair of snazzy jeans! All jean donations at the Denim Swap will benefit the 4th Street Boutique– Shop for a Cause. Don’t forget to mark your calendars for this exciting event! Sara Benjamin’s is located in Mariemont next to Starbucks. Follow them on Facebook or check out their website here! 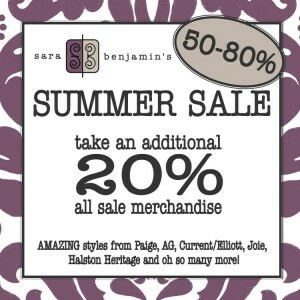 Sara Benjamin’s Fall & Summer Sale! 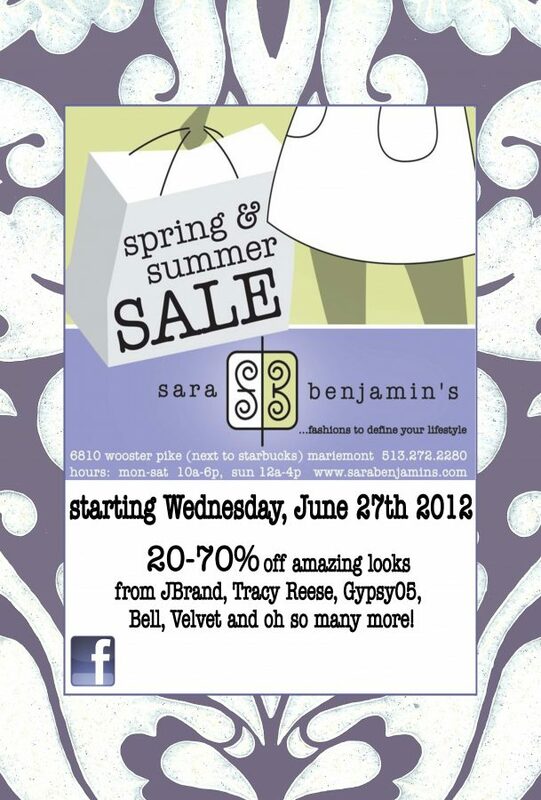 One of my favorite local boutiques – Sara Benjamin’s in Mariemont – is having a Spring and Summer sale! You’re going to find 20-70% off amazing looks from JBrand (my FAVORITE jeans in the whole wide world), Tracy Reese, Gypsy05, Bell, Velvet, and so many more! 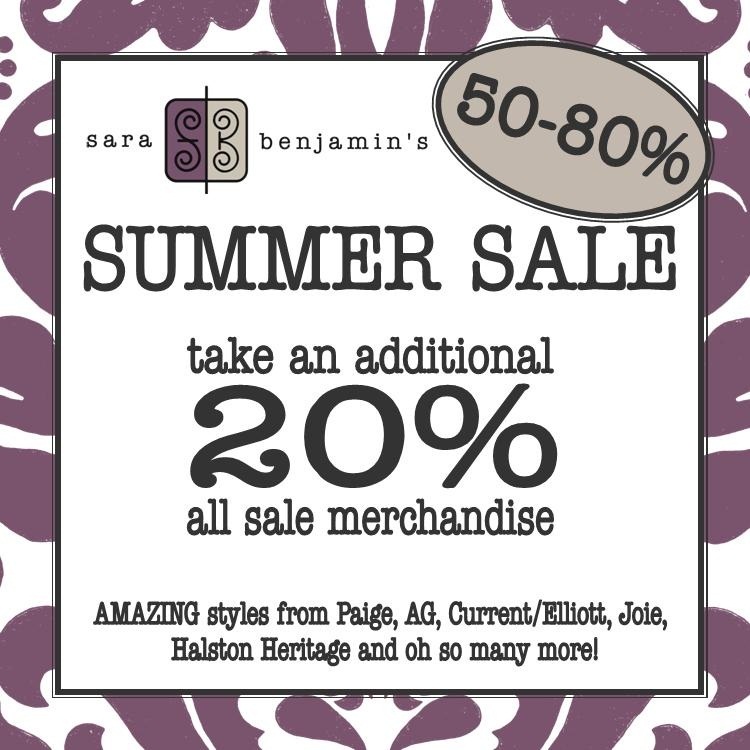 You definitely want to keep this amazing sale in mind because fall is coming up and that means fall fashions and jeans! Store hours are Monday-Saturday from 10AM-6PM and Sunday from 12Pm-4PM! And you can find the store at 6810 Wooster Pike (next to Starbucks) in Mariemont! Contact them at 513-272-2280!